I cannot imagine my childhood without books. I was fortunate enough to have been surrounded by a wide variety, ranging from classics to comics, from illustrated children’s books to thick books with text in english and hindi. 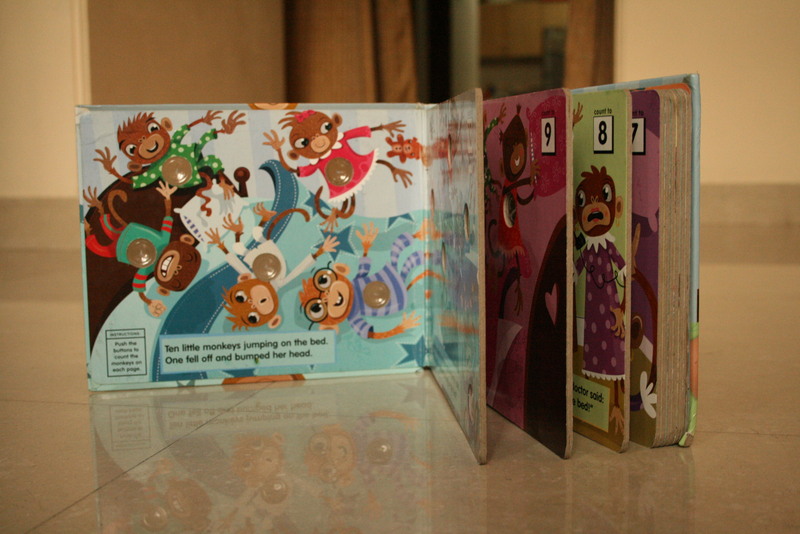 But this post is not about my books, this one is about books for Amaila, my niece. 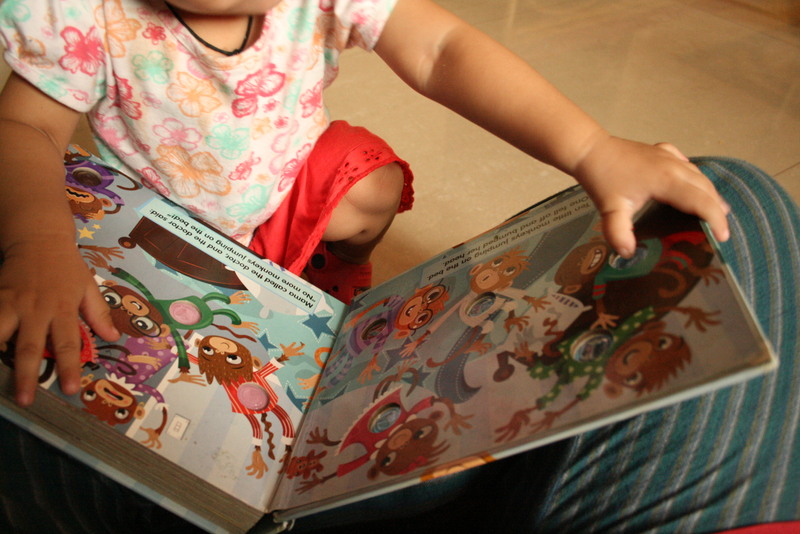 I want to ensure that my niece does not miss out on the experience of books, later its her own choice. I often visit this bookshop at Nehru Place, Delhi, which sells some gems as second-hand books. Some of these books are very interesting and engaging,hence I decided to share some pictures of those books. See those dots? You could poke them and count as you do that! The touch and sound feedback is just brilliant and also addictive. Reminded me of bubble wraps but these are much sturdier and provide endless poking. 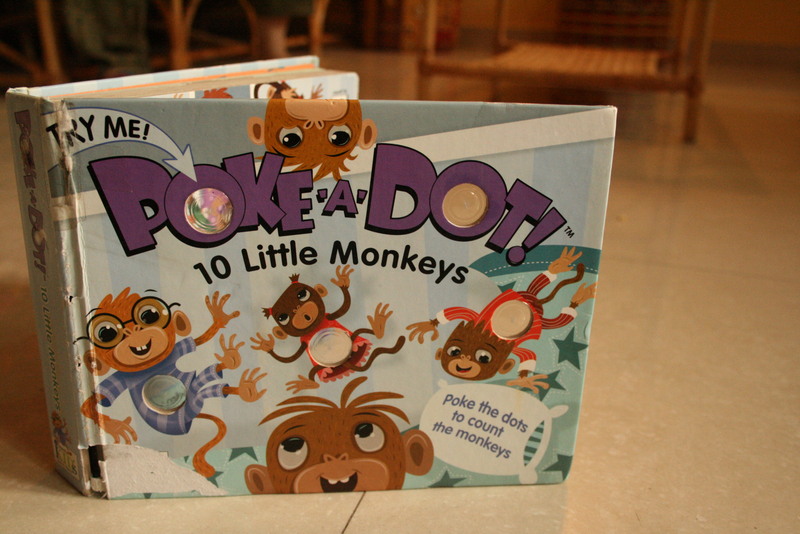 Once you poke from one side, turn the page, and poke it back from the other side! 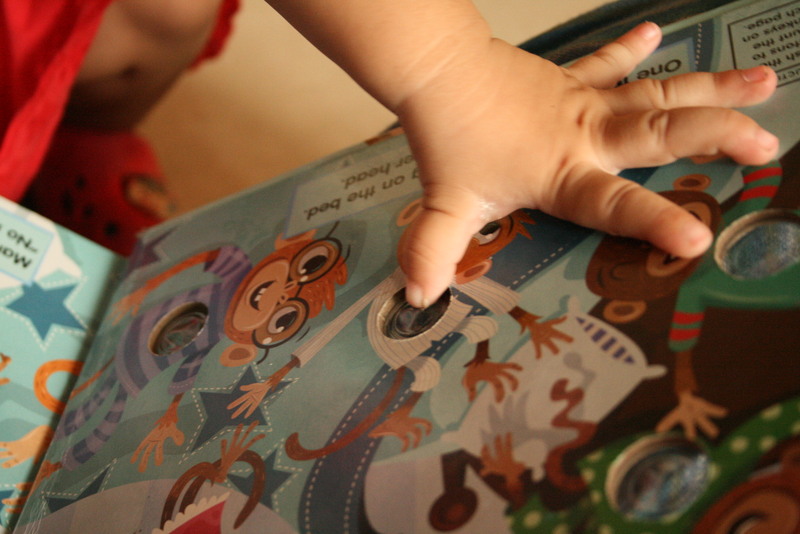 It is an exciting incentive for children to begin to turn pages, which are thick enough to turn with ease. My niece, who is an year old, got so excited when she used it for the first time that she decided to sit on those and check if that created the sound as well. She does not get bored of it and the wear and tear shows how much it is used daily. It has been good fun for her. My mother has come up with an interesting story to narrate as she turns the pages. In case you are looking for something to help your child engage with counting, this could be an interesting buy. Also, more than one person can poke at a time, it becomes a sort of game, but warning, my nieces almost fought in the competition to poke more than the other.